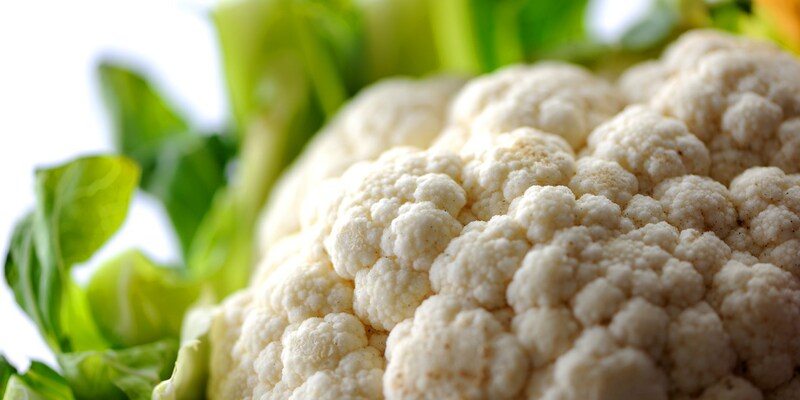 It's certainly the vegetable of the moment, with chefs roasting, blitzing and pickling their way to cauliflower nirvana. See how you can turn this healthy vegetable into a dish of epic proportions. It might not look like much, but cauliflower is one of the trendiest vegetables around right now. 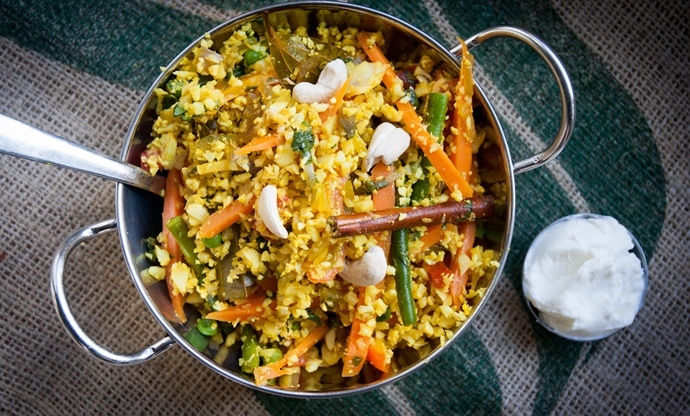 Creamy, healthy and the perfect base for spices, it’s evolved from an uninspiring side dish to a star in its own right. Ever since we discovered roasting the florets results in crunchy, caramelised morsels of deliciousness and throwing one into a food processor rewards us with a healthier alternative to rice, we’ve been using the humble brassica to make pizza bases, replace meat in dishes and bulk out salads. Long gone are the days of mushy, overcooked cauliflower cheese and anaemic soups – just take a look at these mouth-watering creations to see how versatile cauliflower can be. 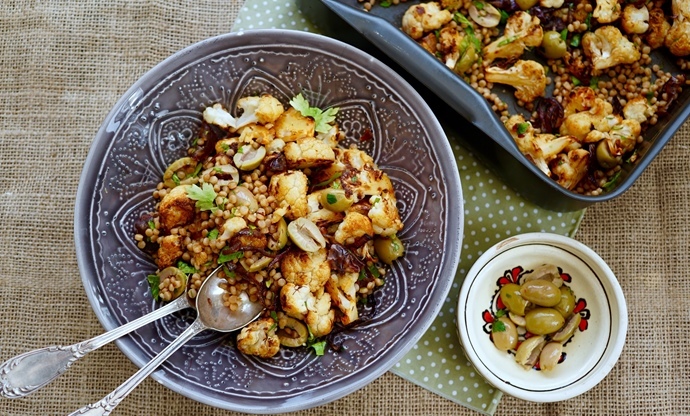 A few roasted florets add bags of texture and flavour to any salad, used to full effect here in this Sicilian-inspired dish with olives, sticky dates and fregola pasta. You can swap out the fregola with giant couscous or other small pasta shapes – just make sure to stir through the other ingredients while it’s still warm, so the pasta can soak up all the other delicious flavours. This is a perfect example of how many ways cauliflower can be served. Bigger florets are placed on a bed of cauliflower that’s been blitzed into a ‘couscous’, eliminating the need for carbohydrates but still just as filling. 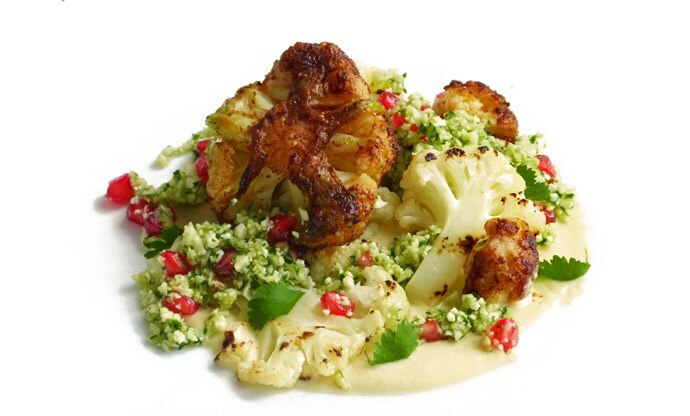 Middle Eastern flavours work particularly well with cauliflower, and smoking a few pieces over the hob adds an interesting depth of flavour to this healthy dish. Another way to use blitzed up cauliflower is as an alternative to rice, as Monica Shaw does in this biryani recipe. As the brassica is so good at absorbing flavours – particularly spices – it works particularly well here, with the cinnamon, turmeric and cardamom getting soaked up during the cooking process. For something with a slightly richer flavour, Karen Burns-Booth’s creamy cauliflower pasanda coats the vegetable in natural yoghurt flavoured with coconut and toasted almonds. Make it the day before you plan to serve it and allow the flavours to meld together – just gently reheat before dinner. Cauliflower cheese might be a bit passé these days, but many of us still enjoy the indulgent dish, with its lashings of gooey sauce draped over nutritious pieces of cauliflower. 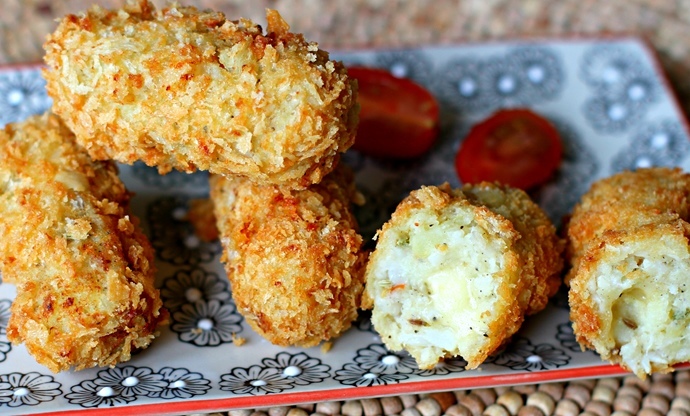 Deena Kakaya brings the classic up to date with these croquettes, combining cauliflower and cheese with potatoes and spices before coating in breadcrumbs and deep-frying for added crunch. 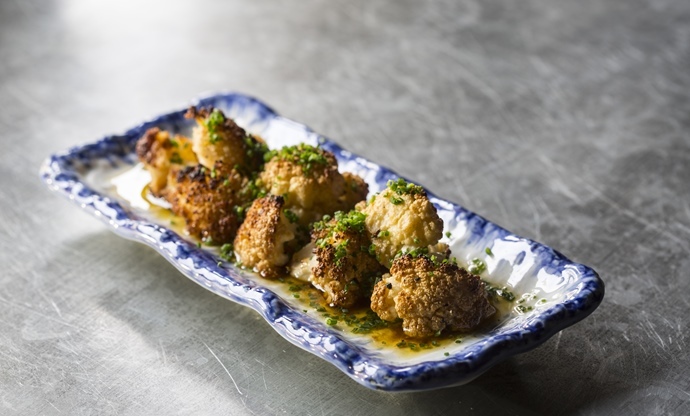 Sometimes the simplest dishes are the most delicious, and chef Paul Foster’s simple combination of cauliflower and chestnuts proves this perfectly. A good amount of curry powder gives everything a bit of a kick, while frying everything in butter keeps things indulgent. If you can’t source raw, peeled chestnuts, then vacuum-packed ones are just as good. 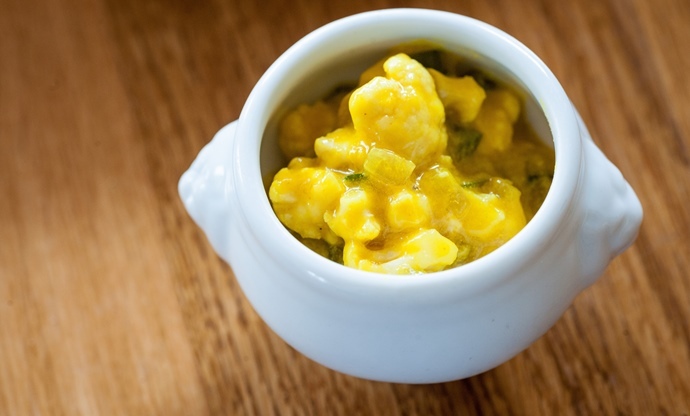 As one of the most iconic British condiments piccalilli is hardly a modern invention, but only recently have we started to make our own instead of relying on shop-bought jars. Josh Eggleton uses xanthan gum in his recipe, which while a little unusual, binds everything together to make a thick, almost spreadable accompaniment to cold meats and pies. 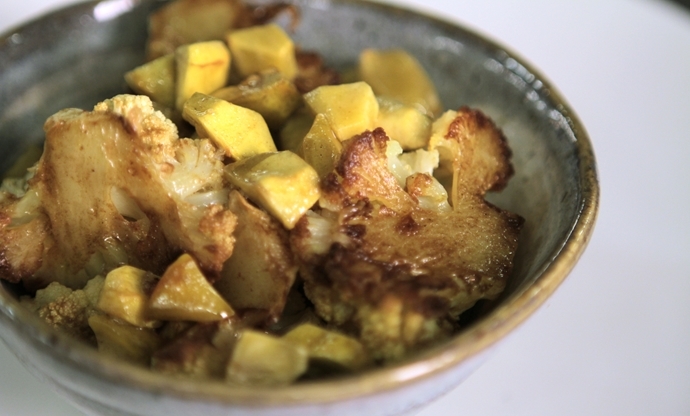 The sweet, creamy flavour of cauliflower also works incredibly well in Japanese cuisine, as chef Scott Hallsworth shows in this quick and easy recipe. Simply tossing florets with sake before roasting and then drizzling with soy and yuzu creates a wonderfully tangy side dish which would work perfectly with all manner of Japanese-inspired mains. 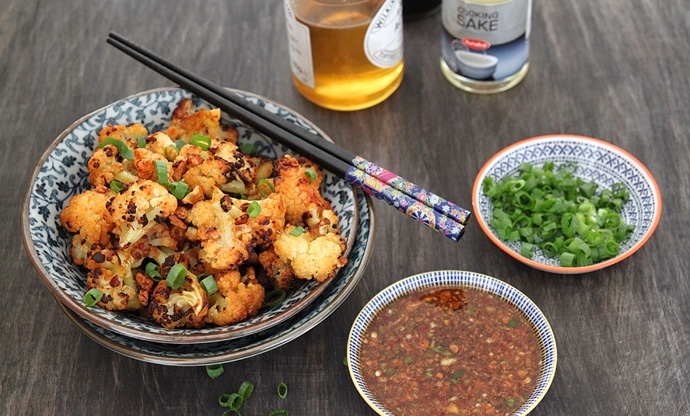 Another recipe which highlights the joys of sake and cauliflower, Nisha Thomas includes hot sauce, honey and chillies to create something a little spicier, proving once again just how effective cauliflower can be as a base for other flavours. Be sure to make the dipping sauce as well as the roast cauliflower – they go together perfectly. 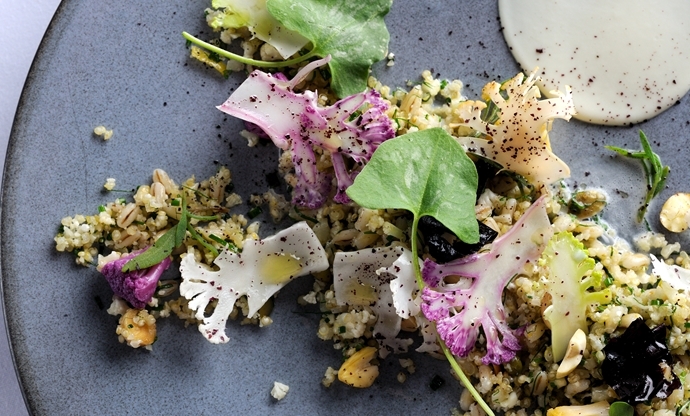 If all the above recipes sound too simple, give Agnar Sverrisson’s ode to the cauliflower a go. It’s pickled, blitzed into couscous, pureed and left raw all on one plate, with a little pearl barley and quinoa added for extra crunch. Using different coloured cauliflowers here is a must – when served together, they look truly stunning on the plate. 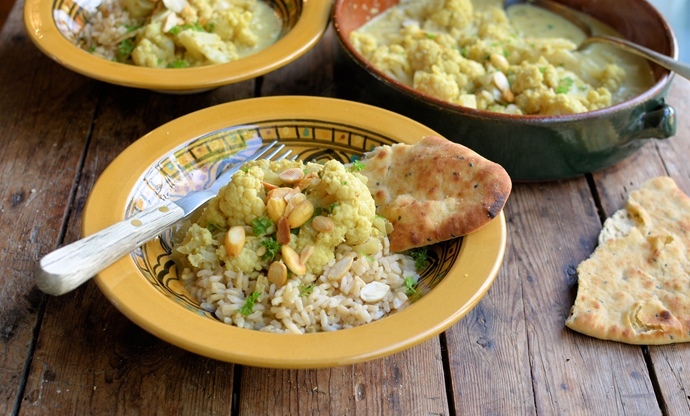 Want even more delicious cauliflower ideas from the UK's top chefs? Check out our collection of cauliflower recipes.